Last week was a good one for MLS teams in the CONCACAF Champions League. All three sides head into the second legs of their respective ties in good position to advance. But is it possible that the only MLS team with a lead in its series is the least likely to go through? Here’s your CCL Preview. Breakdown: Seattle went down to Monterrey last week with a clear intention to park the bus and play for the 0-0 draw. 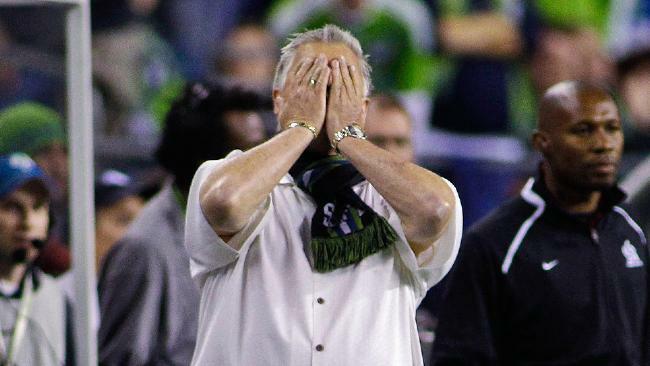 The Sounders nearly pulled it off too. A late error by Zach Scott saw Tigres nick a goal and now Seattle must score at least two and avoid conceding at home. Helping the men in rave green will be a reportedly weakened Tigres squad that traveled with mostly reserve and U20 players and only two starters from the first-leg team. Tigres coach Ricardo Ferretti apparently thought the team’s Liga MX fixture on Saturday was more important than the CCL clash. Underestimating Seattle at home is never wise and in front of 20,000+ you like the Sounders to get a few goals. Staying organized at the back while pressing forward will be paramount. If the Sounders can keep Tigres’ reserves off the board, they have a great chance to go through and become the first MLS side to eliminate a Mexican team from CCL play. Breakdown: Houston put in a good performance against Santos in the first leg and was rewarded with a 1-0 lead to take to Torreon. Dominic Kinnear teams are known for their organization and strong defense, but Santos outscored Seattle and Toronto 12-3 at home in the knockout rounds last year. While Houston probably won’t ship six goals, a 1-0 lead seems shaky and the Dynamo will have to hope multiple missed chances in the first leg won’t come back to bite them. An early goal for the men in Orange will most likely be needed to secure a place in the semifinals. Breakdown: LA is arguably in the best position of all three MLS teams to advance. The Galaxy is unfortunate not to be carrying a lead into the second leg after hitting the bar and having a Mike Magee strike mistakenly waved off in Costa Rica, but Bruce Arena’s team showed well against Herediano in the first leg. Coming back to the Home Depot Center LA should be able to put the Costa Rican side on the back foot and dominate the game from whistle to whistle. Magee and Robbie Keane cause all sorts of problems in the first leg; that should only continue in the second. LA is a good bet to make the semifinals. It may be an MLS homer’s view, but I like all three MLS teams to advance. LA is a lock while Houston can defend well enough to protect its lead. Seattle has the benefit of playing a weakened Tigres squad in front of its home crowd. But the biggest benefit all three teams have is due to some clutch scheduling by MLS. While Tigres and Santos had to play tough fixtures in their domestic league their MLS opponents got a full week of rest. Don Garber has repeatedly stated winning the CCL is an important step for the league. Now, he’s put his clout behind his words and the favorable scheduling looks set to pay off. Kudos to the commissioner, he takes a lot of flack, but in this instance he got it exactly right.